Tracking and assessing the educational achievements of outreach program participants can be challenging. Even more challenging is complying with federally-mandated performance reporting. 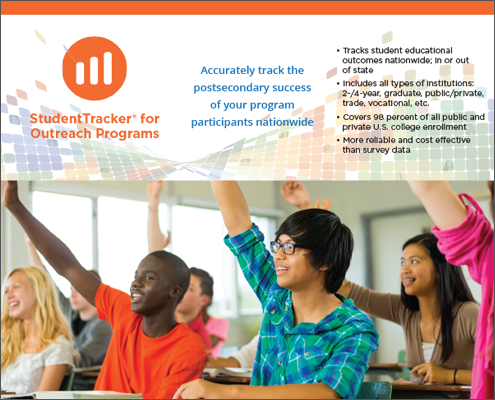 Now program administrators can use StudentTracker® for Outreach Programs to accurately track the postsecondary enrollment and degrees of their program participants nationwide. The service provides on demand reporting and batch submission flexibility for smaller programs.